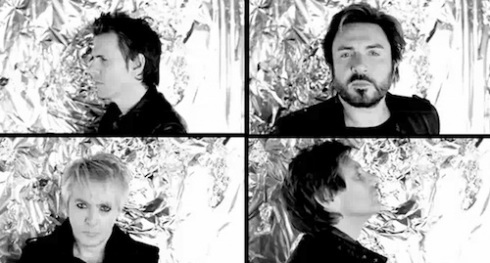 Then: Taking their name from the movie Barbarella, Duran Duran were formed in the late 70s in Birmingham by Nick Rhodes, John Taylor and Stephen “Tin Tin” Duffy. By the time they released their debut album in 1981, lead singer Stephen had left to pursue a solo career and was replaced by Simon Le Bon (with additional members Roger and Andy Taylor). At first they had embraced the look and sound of the New Romantic movement, notably debut single, Planet Earth, but this would not last long. Their second album, RIO, saw the band adopt a more polished image and radio friendly sound. The change proved wildly successful, producing 4 hit singles, including Hungry Like The Wolf, that would win over the hearts and minds of millions of American teenage girls and gay boys. Hit single after hit single occurred including the most successful selling James Bond theme song (A View To A Kill). Duran Duran would become household names and one of the top selling artists of the 80s. Now: Although The band never broke up, (but did go through a series of lineup changes), like many bands that became famous in the 80s, their profile dimmed as alternative rock (grunge) and rap became fashionable. They did score a hit in 1993 with Ordinary World, but for Duranies, this was an alien sound and they were no longer the band they had fallen in love with. The core members, Simon Lebon, Nick Rhodes, John, Andy and Roger Taylor would reunite in 2001 (although Andy would leave again in 2006) and score a moderate hit, (Reach Up For The) Sunrise, that saw a semi-return to their sound. The band parted ways with their record label in 2009 and recently released, through an independent label, All You Need is Now. Girl Panic is off this album and sees them again returning to their roots and the sound that made girls (and boys) swoon in the 80s. You are currently browsing the archives for the Duran Duran category.